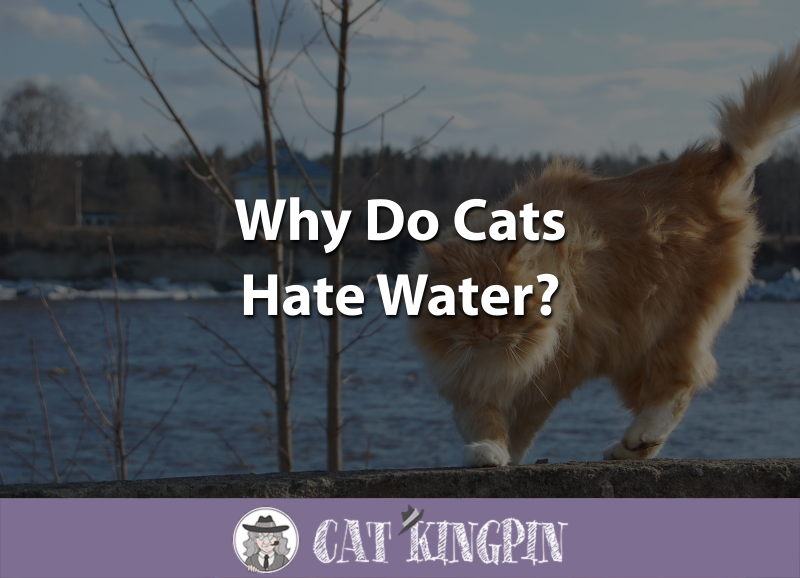 » Why Do Cats Hate Water? Cats are well-known for disliking water about as much as they dislike being caged. In fact, a cat’s hatred for all things wet is so profound that most cat owners don’t even try to give their cat a bath! If you’ve ever tried to get your cat into the kitchen sink for a bath, you know that most cats don’t like water. Thankfully, cats do a pretty good job of keeping themselves clean without human assistance. But what’s up with cats and water? Why do cats hate water? Is there a way to teach cats to enjoy water, even if it’s just to give them an occasional bath? Many cats dislike water. Like all animals, cats need water to survive and will happily drink it. And, most cats are capable of swimming if necessary. But unlike most members of the animal kingdom, the majority of cats don’t like to get wet and will do pretty much anything to avoid it. Because the vast majority of our planet is made up of water, it’s a little unusual that an animal would have such a disdain for it. In fact, while it’s well known that most cats hate getting wet, the precise reasons for this evolutionary mystery remain largely unknown. There are a few popular theories. The first is rooted in our furry friends evolutionary past. Felines can trace their origins to the hot, arid, deserts of the Middle East and Africa. Because they were so infrequently exposed water, they simply never developed a tolerance for it. Another theory is that cats are simply uncomfortable when wet. Their thick, plush coats get weighed down when wet, slowing cats down. It also forces them to spend time cleaning and drying themselves off. Others theorize that cats are sensitive to the smell of water and may feel overwhelmed if dunked. This kitty, on the other hand, is breaking the stereotype. He looks pretty content in the pool! While most domestic cats dislike water, some of them don’t seem to mind it. Then, there are the cats that inexplicably love water. They even hop into the bathtub or shower with their owner. Scientists still haven’t figured out why some house cats like water while the majority do not. At this point, we have to chalk it up to simple differences in personality or a positive experience with water in kitten-hood. There also seems to be a correlation between cat breeds and water acceptance. Bengal cats, which are domesticated cats that look quite a bit like leopards, are notorious for loving the water. This may be because they are genetically less removed from wild cats than the average house cat. Bengal cats are the result of hybrid breeding between domesticated cats and the Asian Leopard cat. So, while Bengal cats are domesticated, they’re a little more “wild” than your average shorthair, which may explain their love of water! It’s possible to have one of these breeds and end up with a cat that hates water, so it’s not a guarantee. But, if you want a water-loving feline, these are a good place to start. Many wild felines also love water. Tigers are often seen wading and playing in rivers and ponds. Lions and jaguars often cool off by taking a dunk in their local water source. Most of these felines live in warm climates, so it’s probably no coincidence that they’ve had to adapt to liking water. This water-loving Bengal cat tries to get in the shower with her owner everyday! There isn’t much you can do if your cat dislikes water. It’s simply a “cat thing.” Some cats may never get used to water no matter how much you try to get them to like it or at least accept it. Most cat owners want their cats to tolerate water because they want to give them the occasional bath. Cats do a pretty good job of keeping themselves clean. It’s one of the many reasons why cats make such excellent pets. However, there are some situations where your cat may need a bath. One such circumstance is parasites. 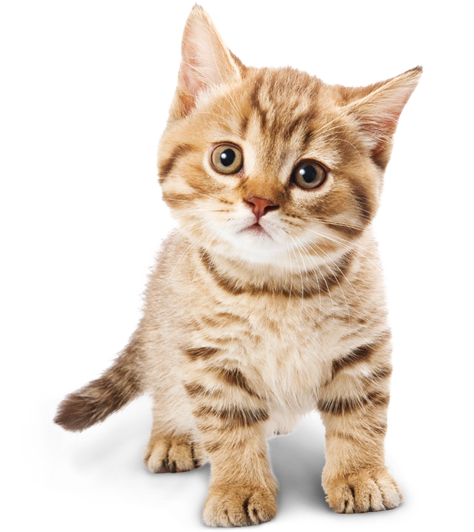 If your cat catches fleas, for example, one of the best ways to get rid of them is to give your cat a bath with a cat-safe flea shampoo. If your cat hates water, this already unpleasant task can become downright impossible. If you want to raise your cat to accept taking baths, your best bet is to get them used to water in early kitten-hood. Exposing your kitten to bath time when they’re young is the best way to go. This can prevent bath time nightmares when your cat becomes an adult. It’s crucial that your cat’s formative experiences with water be positive ones. Use only warm water and mild shampoo that doesn’t have much of a scent, such as Earthbath All Natural Pet Shampoo. Most importantly, be sure to give your cat plenty of treats both during and after the bath! If your cat really needs to be cleaned and absolutely won’t tolerate being in the water, you can also try a waterless shampoo. These special shampoos don’t require rinsing but still help absorb excess oil and odors. You should look for a brand that uses natural ingredients and that won’t affect topical flea treatments, such as Vet’s Best Waterless Cat Bath. Scientists aren’t 100% sure why cats dislike water as much as they do. Some theorize that water weighs down their coat and makes them uncomfortable, while others think it has more to do with the fact that cats originally lived in dry, hot climates where rainfall and large bodies of water were uncommon. Whatever the reason, it can be tricky to wash cats that hate water. If you’re lucky enough to have one of the rare cats that loves to get in the bathtub with you, then you don’t have to worry about the stress of keeping your cat clean. If your cat doesn’t like water, you can try using a waterless shampoo to keep your cat clean. Does your cat love the water? Did you train them to like it or is it just part of their personality? We want to hear all about your adventures with cats and water, so tell us about them in the comments!